Today’s the last day of February and it’s only now that we get to greet our class adviser, Ma’am Fe Calope Lomantas, a happy birthday. 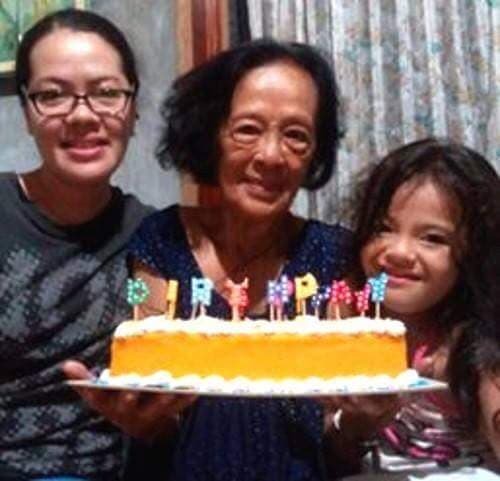 Ma’am, who celebrated her birthday on February 2, is flanked in the photo above by daughter Michelle and granddaughter. The last time we saw Ma’am was in July 2008, when our class celebrated its 30th year anniversary in Laguna. Maybe it’s time to visit her in Bohol? Or invite her to our batch’s grand reunion on August 18, 2018? Anyway, we would also like to greet the other birthday boys of the class: Ariel Dimacali (February 4) and Ricardo Manuel (February 13). 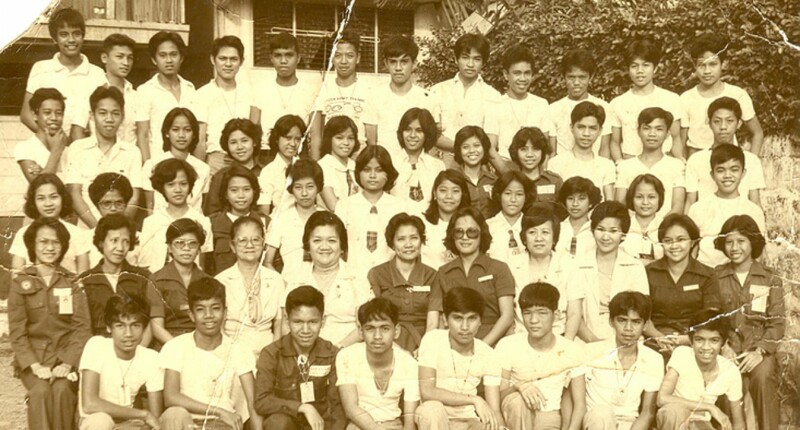 And thanks to Keith de la Cruz for sending us Ma’am Fe’s photo. We are reposting this short video of our class adviser Ma’am Fe Calope-Lomantas, part of her opening speech during our reunion in July 2008. It’s Ma’am’s birthday on Tuesday, February 2. It’s a shame we can’t get to see her as often as we would like to. But who knows, our next reunion could be in Bohol? Happy birthday, Ma’am Fe. We love you! On July 10 a welcome lunch was held for Ma’am Fe Calope-Lomantas and daughter Michelle who arrived from Bohol the day before. Members of the “welcome committee” were Zeny Cervantes, Remy Tuazon (with husband Danny Martin), Jo Monte de Ramos, Lito Parungo, Keith dela Cruz and birthday boy George Hizon. Venue was Dampa sa Libis, a nice restaurant that offers a wide array of fresh seafood.